Documents Management App supports you to store the different format of the documents including spreadsheets, presentations, sales proposals, project requirements & reports, checklists, word processors etc. 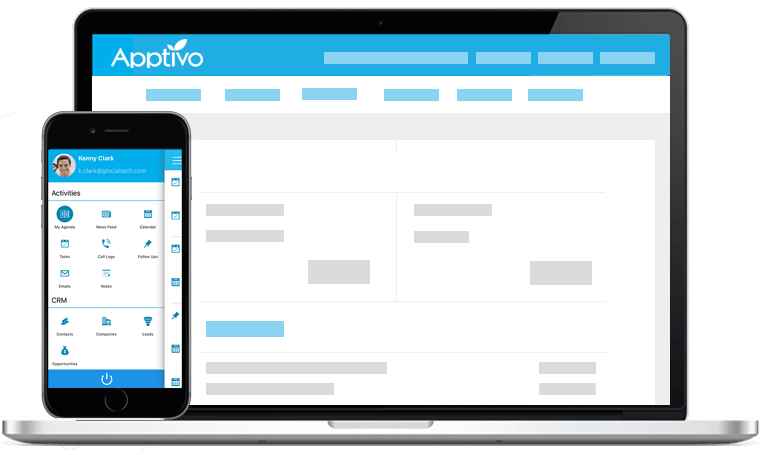 You can create, share, edit the folders and can upload any type of files such as text, PDF, CSV etc. 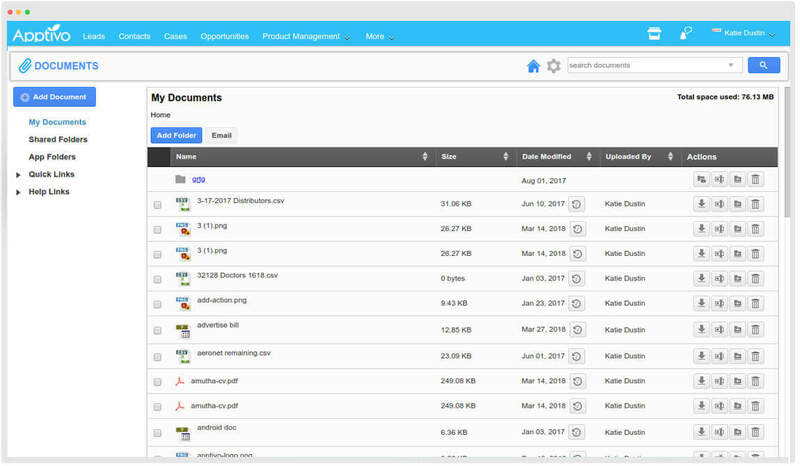 All documents can be stored in one central location, enabling easy searching of documents. Integrates with and attach documents from your Google Drive, Dropbox, OneDrive, and your Computer (local). Select the required document and send emails, right from the Documents App. 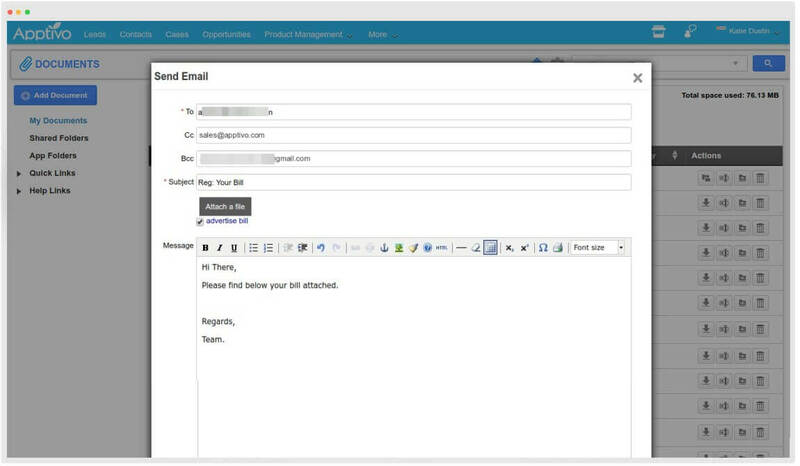 Choose the required attachment, enter the email address(s) and subject, and click on send. Documents are meant to be shared. Offers a safe and secure sharing process. 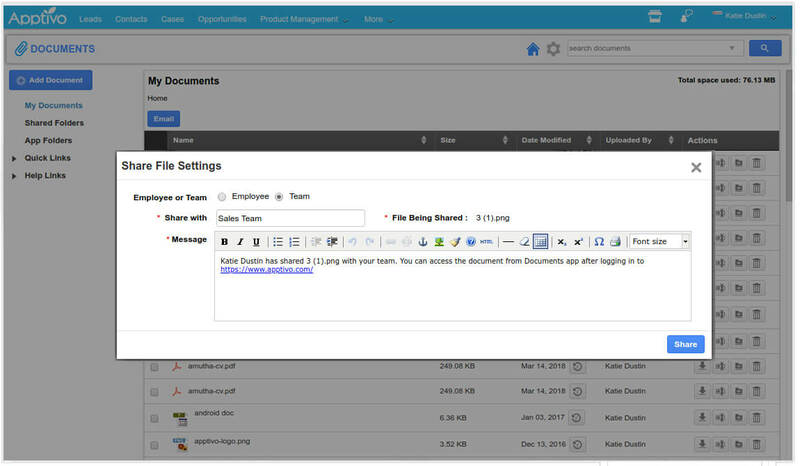 You can share documents directly with your required employees and teams. Your employees can gain access to theses shared documents from their accounts. Closely integrated with almost all of the apps in Apptivo. 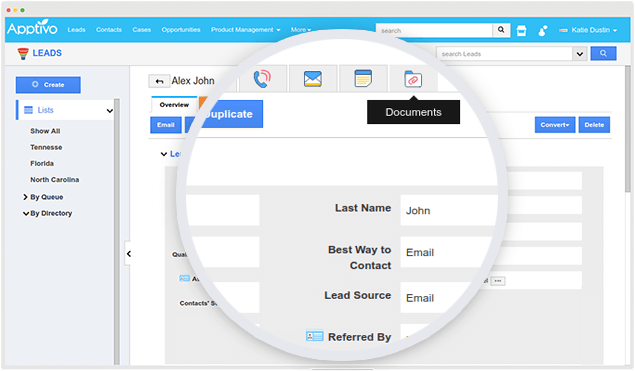 You attach documents from a customer record, leads, opportunities, and even in the creation of templates etc.